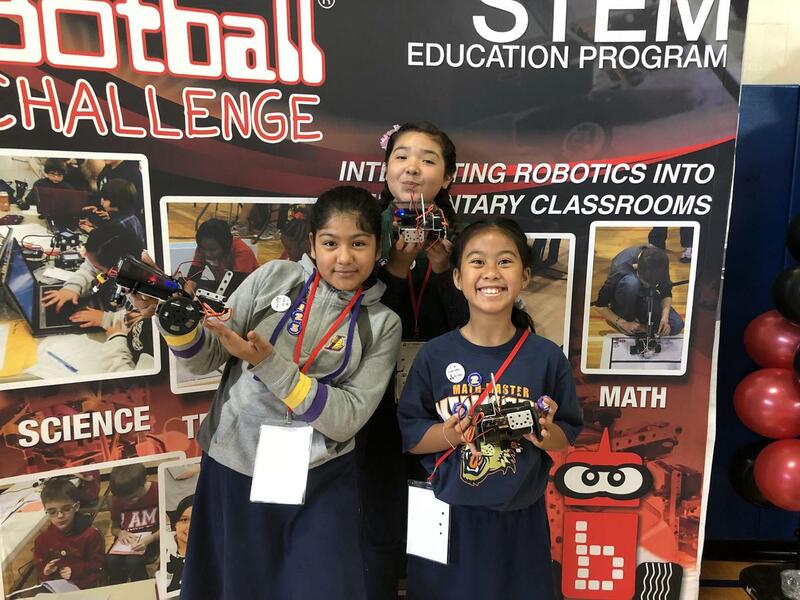 A few of our fifth graders were given a great opportunity to participate in the Junior Botball Challenge. Led by one our fifth grade teachers, Mr. 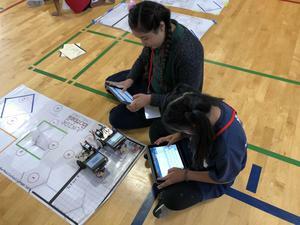 Carver, students were taught how to build robots using the design engineering process and how to write codes that can be transferred to their robots with an I Pad. 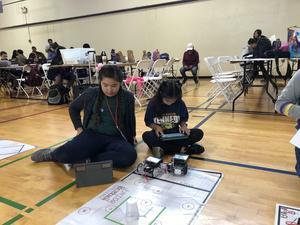 Students attended a public event to showcase what they have learned along side other experienced students. Mr. Carver said, "It was a joy to see my students take the time to solve problems that they were given. 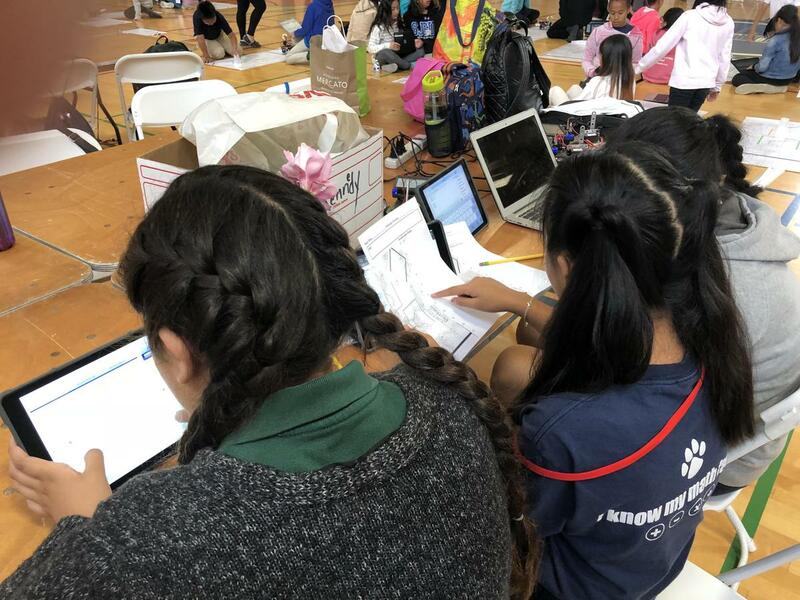 My students worked really hard through out the experience, and were even willing to give up their snack and lunchtime to keep working on their project. 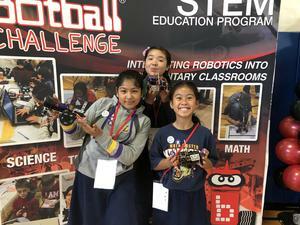 Botball has had a positive impact on my students." Students were super excited about the activity and the event they attended. "The experience was fun. Trying new things such as coding and doing challenges with the robots was quite hard, but we ended up accomplishing the challenges so it was worth it." 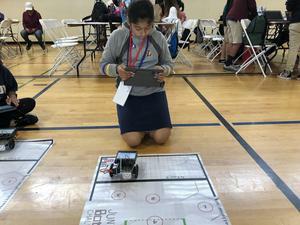 Ngan T.
"It was really fun learning how to move the robot around. The challenges were hard, but it was worth it because at the end you learn something new." 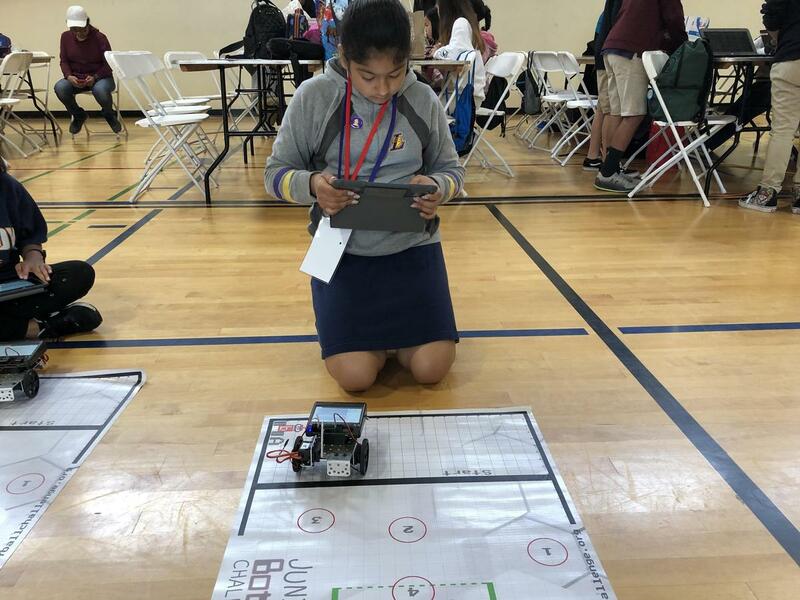 Emily P.
"Coding, and learning how to operate the robot was a fun. We had a glorious time with the challenge." Audrey R.
Our students are looking forward to learning more next school year.